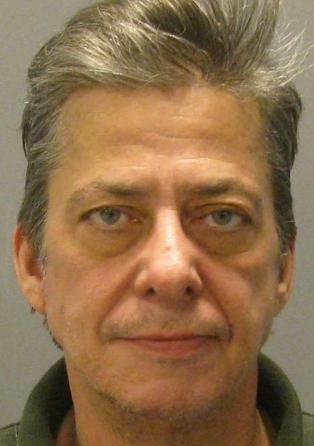 There is a truly horrific case out of Minnesota after David J. Gherity, 60, was arrested for setting his girlfriend on fire in his condominium. What struck me as odd was that he was not charged with attempted murder as opposed to assault in the attack. However, Gheirty’s lawyer says that there is a videotape of Gherity at work at the time of the crime that will vindicate his client. Gherity is accused of dousing his longtime girlfriend with hair spray, nail polish and nail polish remover before setting her ablaze. She lost an ear and suffered burns to her scalp, face, neck, both legs and one hand. Yet, Gherity was charged with first-degree assault and two counts of first-degree arson. It is odd that this was not charged as attempted murder. I would think that someone setting another person on fire was doing so with an intent to kill given the extent of these burns. The woman had previously left a message with a friend in a whisper that Gherity “has gone berserk. I can’t talk right now. I’ll call you later.” The crime and the message suggests mental illness might be playing a role in the crime. What is notable is that the woman, who was Gherity’s girlfriend for 10 years, said that none of these products were hers. That suggests a possible premeditated act if Gherity went out to buy the items. Yet, there is also the defense claim that a video shows Gherity at work from 8:30 a.m. to 4 p.m. on the day of the fire and, while medical staff said that Gherity arrived smelling of smoke, he denied being responsible and he could have acquired the smell visiting the condo after the fire. Police were no doubt suspicious given Gherity’s a history of violent behavior and professional misconduct. He was previously convicted of assault in 2001 for kicking a girlfriend. He was stopped by a neighbor who saw the attack in the hallway and he was accused of then chasing the neighbor to a 26th-floor balcony and pushed him to the railing. The victim said that he was punched and that Gherity had his hands around the man’s throat. He has also been disciplined by the state’s Office of Lawyer’s Professional Responsibility at least four times and his license was suspended in 2004. The claim of the videotape makes the case particularly intriguing. All of the other facts point to Gherity, including his prior history. If the tape is real, the scene would constitute a virtual frame job. If the tape is not real, it would add to the criminal conduct in an effort to fabricate evidence. In the latter circumstance, it would also undermine a mental illness claim by showing considerable planning and premeditation. The Judicial system is not a process of revealing the truth. It is a process of concealing it. After spending two months in jail upon fabricated charges, my case was dismissed because I was in another city at the time of my girlfriends unfortunate accident. I had informed the police detective, Jeff Pfaff a day after the accident, that I was working in another city at the time and that I was on a time stamped and dated business surveillance tape and that I was advised by counsel not to make any further comments. My girlfriend also made a statement that I had nothing to do with the accident. Unfortunately, detective Pfaff did not inform the court of this exculpatory evidence. Had he done so,it is doubtful that I would have been charged. Instead, he made up this horrific story from his depraved mind that has subjected me to international scorn and ridicule. This is the third time that I have been arrested for invoking my constitutional rights in Burnsville, MN. Upon one of these occasions, the prosecutor failed to provide a copy of a recording which demonstrated my innocence. Detective Pfaff has been accused of lying to obtain a confession in State v. Heiges. Having practiced criminal law, I can assure you that this type of police misconduct is more common than you may think. Ordinarily, I disfavor being under constant surveillance every where you go but it certainly was a blessing in this case. Had it not been for the business surveillance tape, I would have spent the rest of my life in jail. Please pray for the recovery of my girlfriend. The only crime committed here is of the demented detective who made up this horrific story and failed to present exculpatory evidence to the court knowing it was available. By the way, he is a self professed expert on survalience tapes he has also been accused of eliciting a false confessionby his “methodology”. Incidentialy, this is the second time the Burnsville police have falsely accused the defendant of a crime after exercising his constitutional rights…The truly horrific part of this story is that it is common for police to fabricate and hide evidence which reflects poorly upon the American Judicial system. Police are not excluded from psycopathy in the population.This story is the product of a truly depraived mind. You have to wonder how many other innocent people he has tried to convict and ruin their lives; you could be next…. Since when is being born without a conscience other than some sort of devastating neurological condition that properly qualifies as a form of socially incapacitating severe to devastating mental illness? The incapacity to form harm-sensitive attachments to self promotes incapacity to form harm-sensitive attachments to others. In my work such insensitivity is the core lesson of the social-norm-based transition from infancy to childhood that is typically at about 18 months of age. In Erik H. Erikson’s epigenetic chart of psychosocial development stages, infancy ends at 18 months, the age commonly identified by people who recognize that an infant-child transition commonly occurs and that such transition tends to result in amnesia for infancy and early childhood in so-called “normal” people. Whereas Fairbairn spent some twenty years working among very young children in a “foundling home,” my twenty-some years working among very young children was accomplished at Cook County Children’s Hospital, 700 S. Wood, Street, Chicago, Illinois. That building was torn down several years ago. While Fairbairn worked as a psychiatrist, my work at Cook County Children’s Hospital was officially that of a Medical Laboratory Technician and, later, that of a Medical Technologist. While at Cook County Children’s Hospital, my actual work was that of a technician who was hired to design and build equipment for medical research purposes concurrently with doing ordinary medical technician or medical technologist duties, being paid less than half normal pay for my medical technician work and less than normal half pay for my design-build technician work. In consideration of lower than normal pay for my work as a medical technician or technologist, I was allowed to pursue my undergraduate and graduate studies in bioengineering at the University of Illinois at Chicago Circle and at the University of Illinois at Chicago as a coop student. My work to date identifies some particular aspects of the social construction of reality to be shatteringly traumatic when infants are coerced into accepting those aspects of socially-defined reality as being actually real, and it is the neurological shattering of late-stage infants which not only generates amnesia for infancy and, often, also for early childhood. Such shattering trauma is epigenetic, so I observe. Since when is “considerable planning and premeditation” of a seriously destructive action other than profound evidence of some form of socially incapacitating severe to devastating mental illness? Answer: When it’s the action(s) of a psychopath who was born without a conscience, will never have a conscience, and nothing anyone does, no therapy, pills, or anything will make him (or her) feel empathy for his (or her) victims. Psychopaths do NOT hear voices or see visions or any of the other delusional things some people with mental illness have. Psychopaths are perfectly aware of right and wrong, but choose to do wrong – or whatever is in their best interests to gain whatever it is they want, which typically is absolute control over other human beings one way or another. If they can’t do it by words, they go for physical harm. Really, I do wish more lawyers were read up on the works of Dr. Robert D. Hare about psychopaths and their destructive, even murderous, behavior. In other words, stop excusing people the harm they’ve caused because they lack a conscience – something they were born without and cannot acquire – and concentrate on the crime and the harm caused to the victims of these horrible people. Psychopaths know right from wrong; they choose to do wrong – which is a totally different concept than someone having delusions of hearing or seeing someone tell them to harm another. With psychopaths there is always the freedom of choice. Name of the town where the assault occurred . . . Burnsville. With video cameras you can always change the date/time stamp. When I would testify to introduce video surveillance footage I had taken NO ATTORNEY seemed to understand that basic fact when cross examining me. Date and time were hardly ever the issue, but a few times it was. In one case I had videotaped a plaintiff in an auto personal injury case. For 3 consecutive days the plaintiff wore the same clothing as he built a deck on his house. The attorney made a brief inquiry as to whether this was all the same day based on the garb, but I testified his client simply wore the same clothes 3 consecutive days! Was the prosecutor given a copy of the alibi video? If so, he probably discounted it. But if so, why was the defendant not charged with “fabrication of evidence” or the like as JT suggested? The attorney suggests that a review will clear his client. I share the question as to why the police and prosecutor would not have reviewed such core evidence. Moreover, one would assume some witnesses at a business location. Of course, if there is fabrication of evidence, it would pale in comparison to the ultimate murder conviction that would follow. I love humor, but a man being this depraved is not funny. Having worked w/ victims like this woman, helped prosecute shitbirds like this, I find not a shred of humor. But, as I’ve said, humor is subjective. I do not feel compelled to tell anyone their comment is “unnecessary.” or “immature.” Being a libertarian and free speech lover, that’s not my way. I just give my perspective and leave it @ that. I would think Minnesota’s Third Degree Murder statute would be applicable here. It does not include an intent to cause death, which I originally thought was the reason for the First Degree Assault charge. To me such a charge is warranted because of the depraved mind, disregarding human life, and an act eminently dangerous to others. (b) Whoever, without intent to cause death, proximately causes the death of a human being by, directly or indirectly, unlawfully selling, giving away, bartering, delivering, exchanging, distributing, or administering a controlled substance classified in Schedule I or II, is guilty of murder in the third degree and may be sentenced to imprisonment for not more than 25 years or to payment of a fine of not more than $40,000, or both. Crazy story! Where there’s smoke there’s fire. Since when is an boyfriend/husband trying to kill his girlfriend/wife necessarily indicative of mental illness, as opposed to good old fashioned hate or anger?